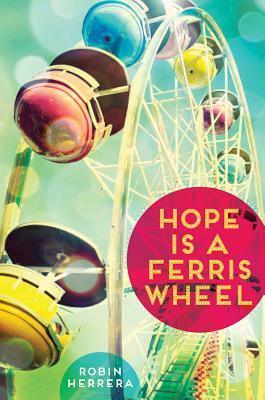 Synopsis (from the publisher): Ten-year-old Star Mackie lives in a trailer park with her flaky mom and her melancholy older sister, Winter, whom Star idolizes. Moving to a new town has made it difficult for Star to make friends, when her classmates tease her because of where she lives and because of her layered blue hair. But when Star starts a poetry club, she develops a love of Emily Dickinson and, through Dickinson's poetry, learns some important lessons about herself and comes to terms with her hopes for the future. Why MG readers would love it: Star is a terrific character, brave and honest and funny. Her vocab sentences for her teacher are both hilarious and heartbreaking. This book is perfect for fans of Also Known as Harper by Ann Haywood Leal because the main character in that book has a similar home situation and also finds solace in poetry. Why writers would love it: The voice! I struggle with voice all the time and I know a lot of writers do. Study this one to see how Robin brought Star to life with such authenticity. I read this more than a month ago and I'm still thinking about her, as if Star is a real kid. What MG characters continue to live in your mind long after you've read the book? For other Marvelous Middle Grade Monday posts, see Shannon's blog. 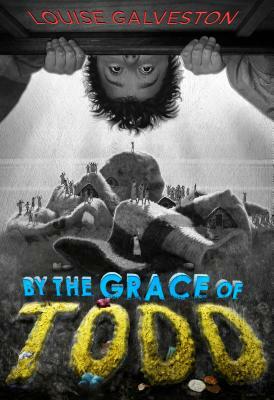 By the Grace of Todd by Louise Galveston for Marvelous Middle Grade Monday! For other MMGM posts, see the links at Shannon's blog. Take a cup of The Indian in the Cupboard, a tablespoon or two of Toy Story, a few teaspoons of The Borrowers, add a generous dash of Dan Gutman and a pinch of Andrew Clements, stir in some highly original humorous situations, and shake well. Even if this book wasn't about the timely topic of learning to deal with bullies, it would still be worth reading for the Toddlians alone. This is hilarious! I'm always happy when a book lives up to its premise. Best moment for me: the Toddlians learn how to speak English by watching TV all night and then they spout advertising slogans that will have you laughing out loud. Note that the POV changes from Todd to an occasional chapter by one of the Toddlians (Lewis), and even a couple of chapters from each of two other Toddlians (Persephone and Herman). So the switching POVs might confuse some readers. But for sheer fun, this is definitely worth a read. I'm taking a blogging break for the next few weeks. Between my birthday, my younger son's birthday and the Easter holiday, I'll be busy with family get-togethers, plus I'm trying to finish revising my third MG novel so I can start querying this summer. I'll be back in May. Happy reading!